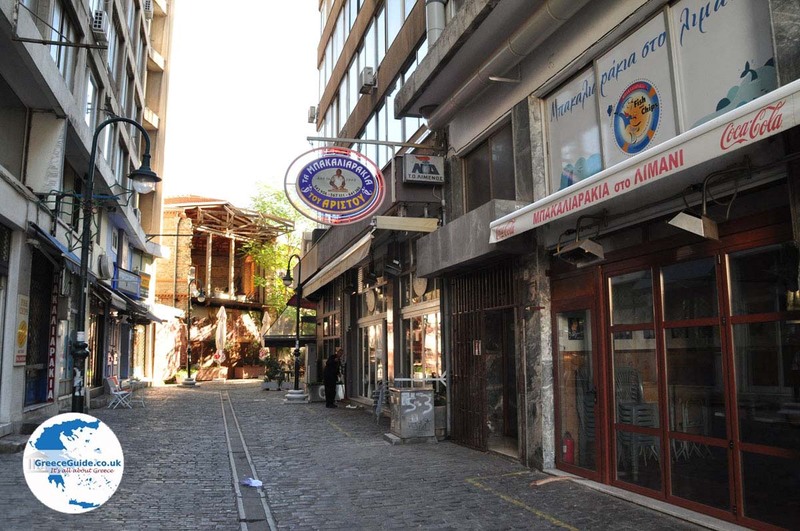 Thessaloniki. Thessaloniki is the name of a prefecture and the name of its capital in the Greek district of Macedonia. 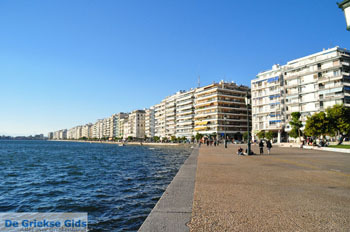 Thessaloniki is about 550 kilometers (342 mi) from Athens, the capital of Greece. 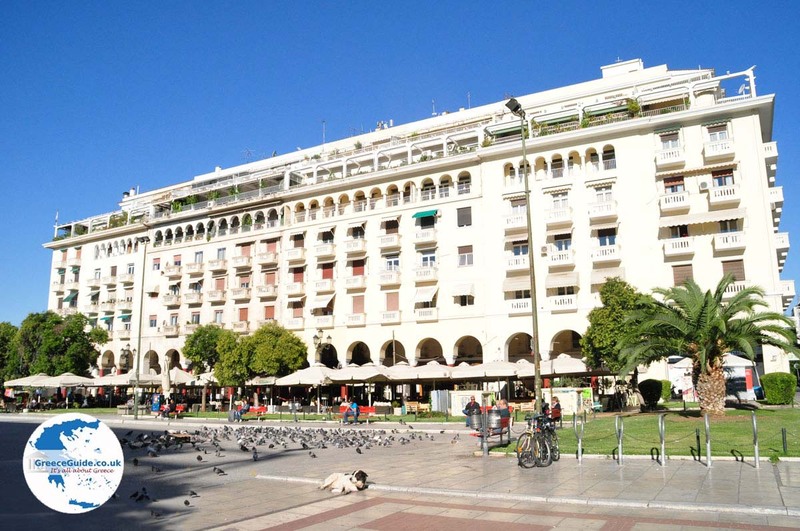 This region of Thessaloniki is home to approximately one million people and is, after Athens, Greece’s most heavily populated region. 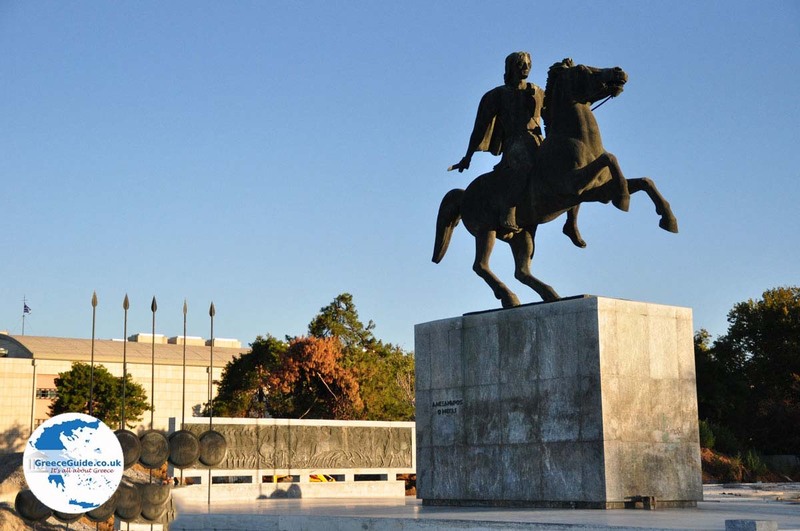 Thessaloniki is a lively city with lots to see and to do. 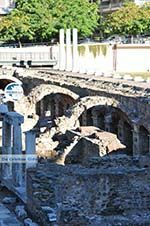 This city was found in the year 1500 BC by Kassandros, in honor of his wife, Thessalonica, who was the sister of Alexander the Great. The city was founded at a time when the Greeks prepared to conquer the Middle East. 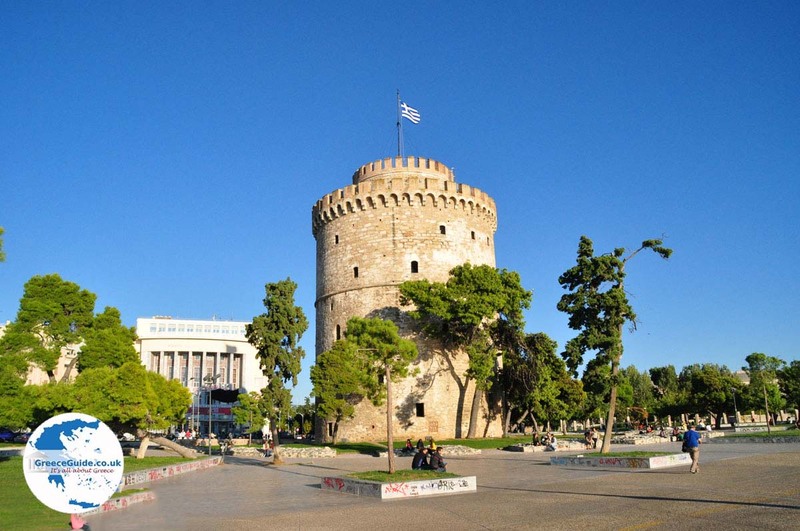 Since then, Thessaloniki has played a major role in both Greek and Eurasian history. 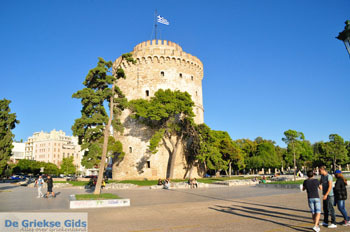 Thessaloniki has many historical monuments. 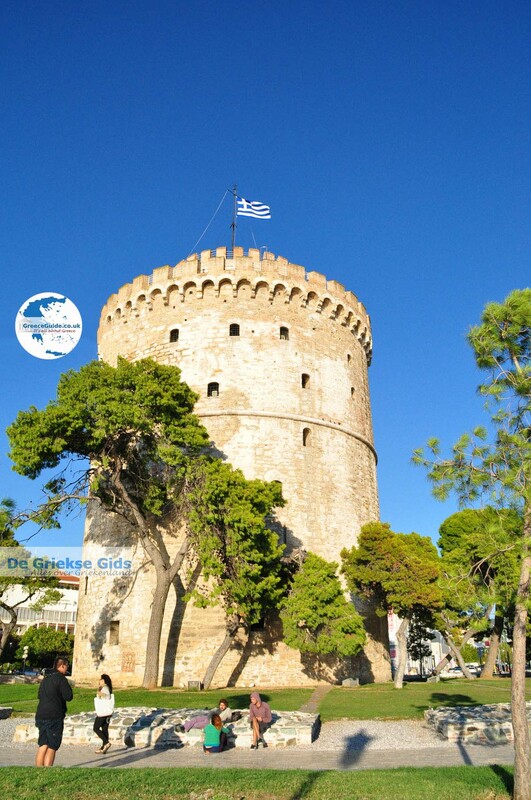 To explore the city well, it’s best to start with the White Tower, which stands at the harbor. 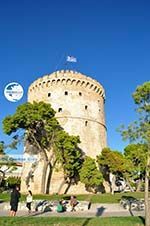 This tower was built in the 15th century on the same location where the Byzantines had already built a castle during the 12th century. The building has had various functions, and for a time it was a prison for serious offenders.Near the White Tower you can also see the statue of Alexander the Great on horseback. At the White Tower begins a long promenade along the water. 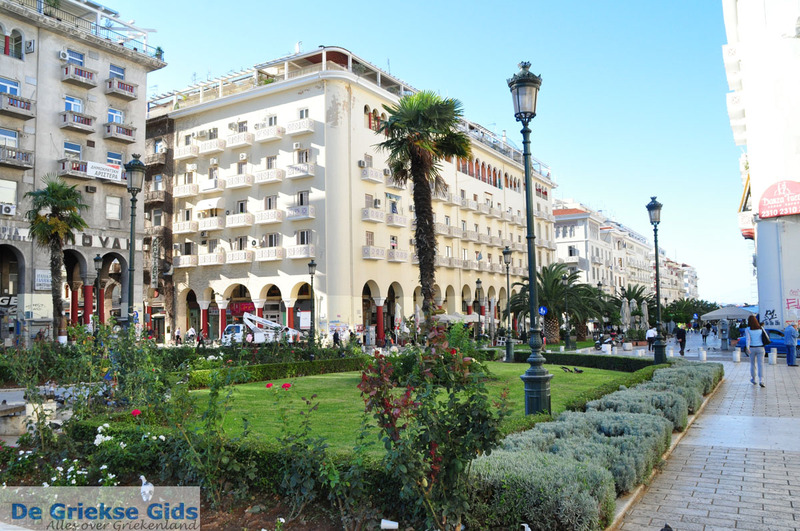 As you walk westward along this boulevard, you will first see many ouzeris, cafeterias and restaurants, and then the big Aristotelous square will come into sight. This is the square with many large terraces and in summer it is very crowded by the residents of Thessaloniki, and by thousands of tourists. Slightly further westwards the neighborhood of Ladadika is located. This was formerly a trading place in olive oil and other foods. 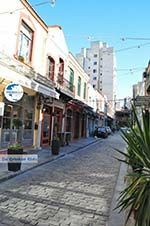 Today, this neighborhood has a different function; it is the neighborhood with many traditional restaurants. 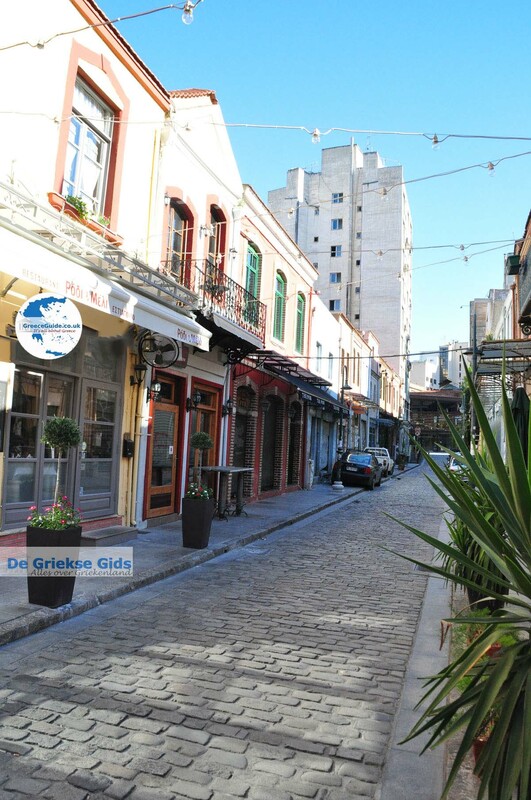 The old buildings have been refurbished in the original old style, and now form the center of the nightlife of Thessaloniki. 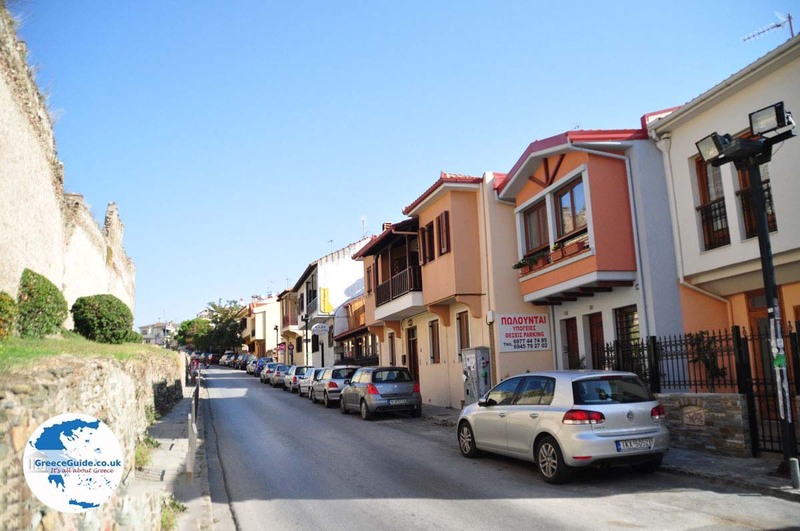 If you walk north from Ladadika, after a few minutes you will see the traditional covered market. 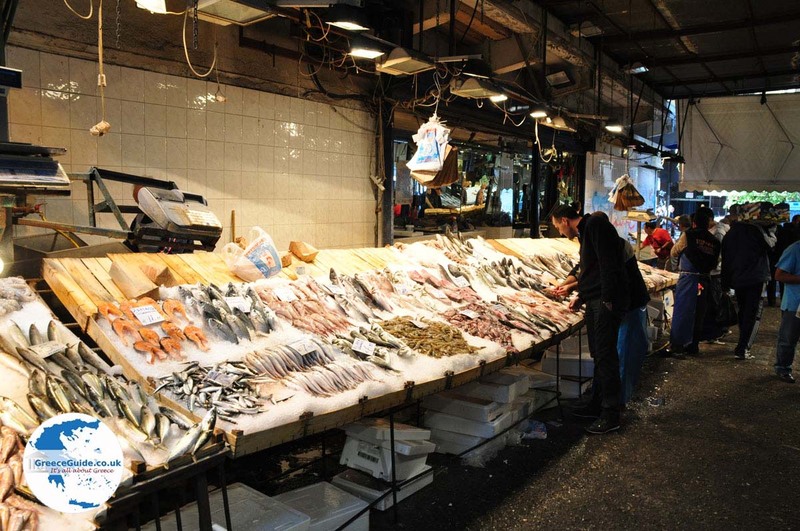 It is a vibrant market where fish, meat, fruit and other foods are sold. Thessaloniki houses many important sights from the days when the Romans occupied the city. The Roman Emperor Galerius built the famous arch. 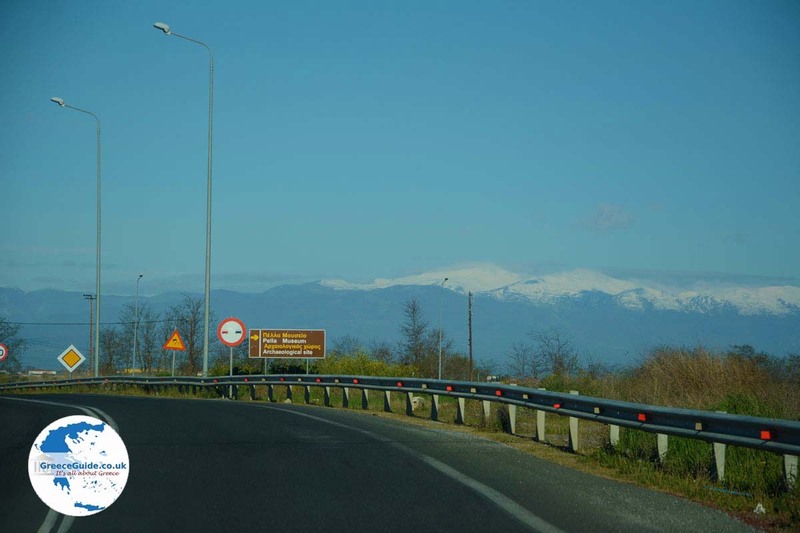 You can see the ruins of the arch on the Egnatia road. 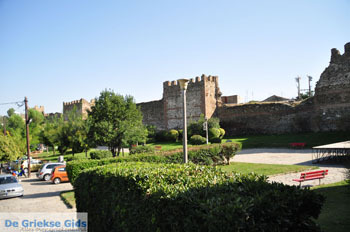 The Rotonda, an historical building, is situated in the north. 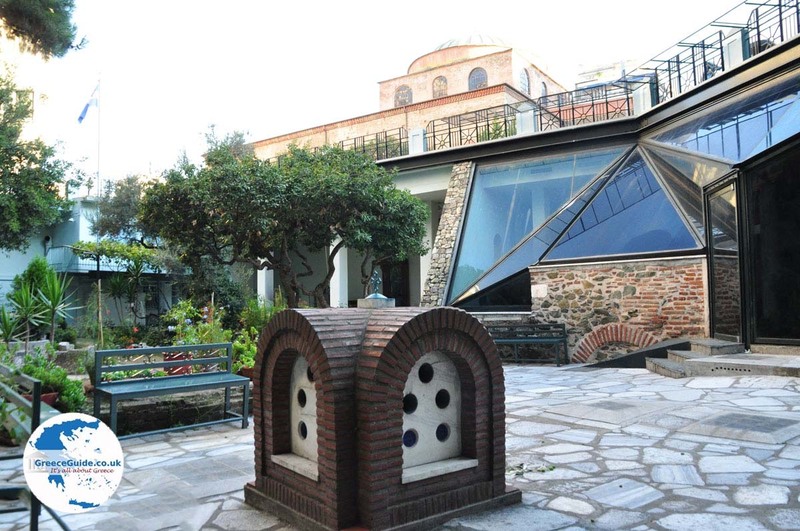 The Rotonda once served as a mausoleum, and later it became the Christian church of Agios Georgios. 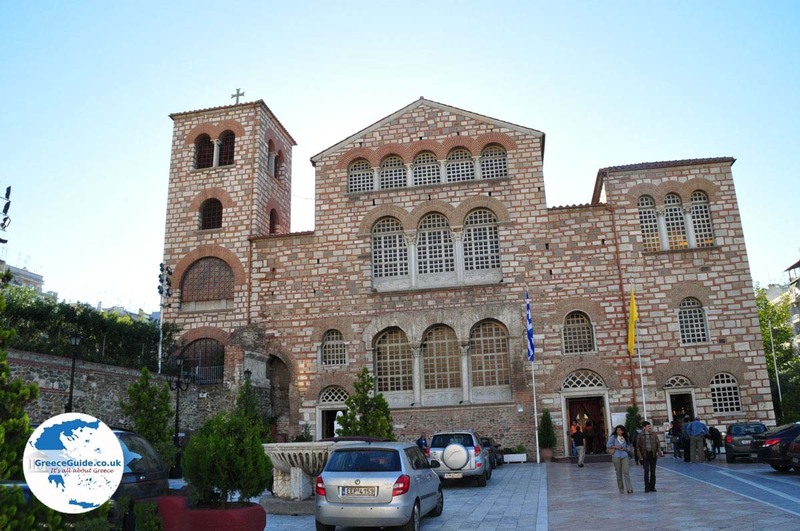 In Thessaloniki, there are also many historical churches. 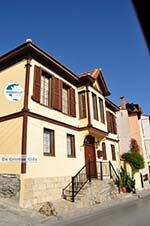 The most famous churches are the church of Agios Dimitrios and the church of Agia Sofia. 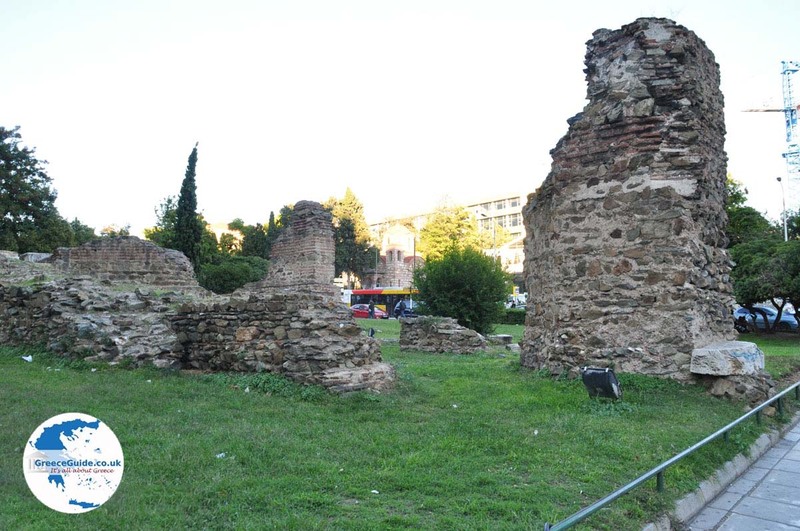 Next to the church of Agia Sofia in the underground are ruins of ancient Roman baths. These baths were used the Christians around the 3rd century for baptisms. When baptisms were banned by the Romans, the Christians then baptized in underground tunnels. Visitors are allowed in these tunnels. The underground tunnel’s entrance is in the church, next to the baths. 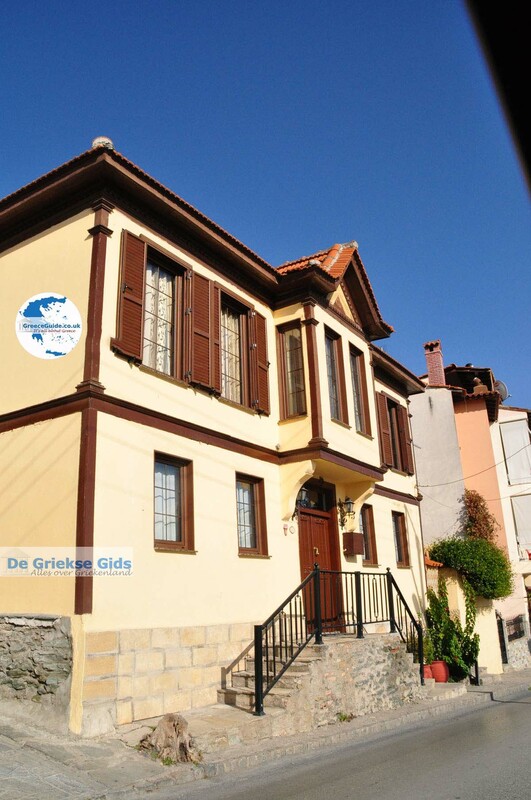 A very interesting area to visit is located on the slopes of the mountain, north of the city. This area is also called the upper town. Here you see the walls of a large Byzantine fortress that formerly comprised ten towers. On both sides of the walls are interesting buildings with wooden balconies. From here you have a fantastic view over the city. 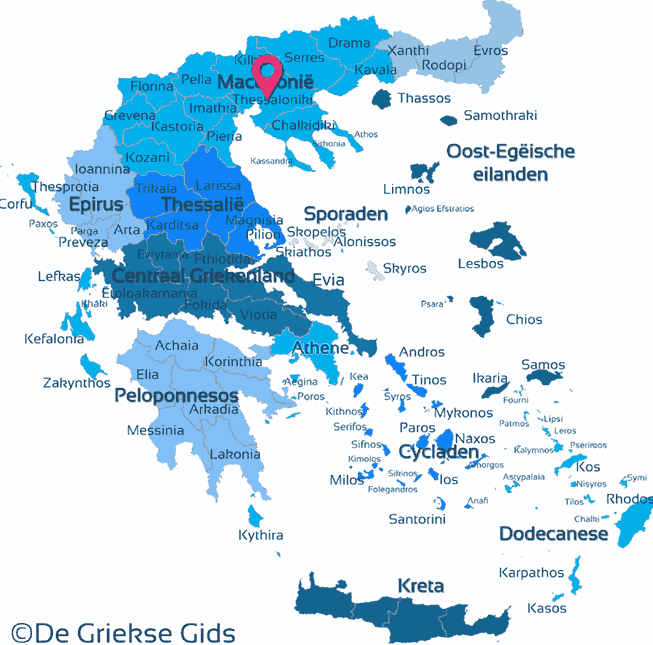 Thessaloniki: Where on the map is Thessaloniki located?